You know some people say that back in their day that they could leave their bike on the lawn and not have it stolen and also somehow not have it rust due to our British weather. Well those people must have grown up in a different UK to us! Anyway, today we are looking at the best way to keep your bike safely locked away from thieves and protected from the weather. Or if you have kids, they will finally have a place to keep their bike that does not involve you falling over it as you go to work on a morning. These ten bike shed retailers are the best in the UK and we are taking on the tough task of putting them in a top ten so you know what the deal with each of them is. They have bike sheds of all prices and in general they pretty much have a bike shed for every budget and every taste. Garden Buildings Direct can sometimes be a site that is a little busy and a little awkward to browse, but this section of their site is easy to navigate and they have made sure it is easy to know the ins and outs of every bike shed. all prices here. The site really could not be any easier to use and they do have multiple ways to contact them should you have any questions. While the information on the site is great, we do wish that some of the bike sheds had a few more pictures though. and the descriptions and photos of each bike shed are spot on. One thing they do which is pretty cool is give you a list of extras which they feel may interest you. This is a solid site with a decent selection and some excellent customer service. then you will not find it here. Still for a selection of high quality bike sheds this is actually one of the best sites on the list. They also have a selection of extras and customisation options for a number of the sheds so if you want to pimp out your bike shed that would be easy to do. put some of their plastic sheds here as well – sheds that are not being sold as being for bike storage, but would do a great job if you were to purchase them with that in mind. With easy to follow information, multiple pictures and plenty of extras to consider, this is a site that came very close to being a couple of spots higher on the list. to look around, but we do feel that they could have had a few more, lower priced bike sheds. One other thing we must mention is that out of all the sites, bike sheds on B&Q had more customer reviews than any of the other sites, so you can get a good gauge on what customers really think here. bike shed is fine as are the multiple pictures for each one they have. Oddly, while Homebase sell just a ton of stuff, they do not actually list any extras that you may want with the bike sheds so you will have to search around separate for them. This is not a huge deal, but we find it odd that they are not showcasing some of the other bike related items they have with their bike sheds. description, but we do feel it would have benefited to have put more than one picture with each bike shed. Wickes do have a very well made site that makes looking around it a hassle and stress free experience. you other regular storage sheds as well that would be suitable for bike storage. They do have great customer service so it would be easy to get in touch and ask a few questions, but as good as this site is their selection of actual bike stores is a bit lacking. something we like to see. 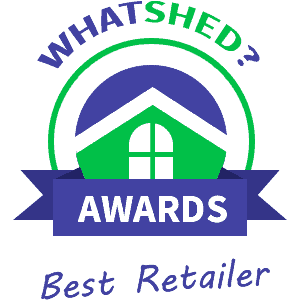 The issue with have with Sheds World is that they do not have the best reputation when it comes to customer service or delivery times, so we suggest you read some customer reviews before placing an order here.